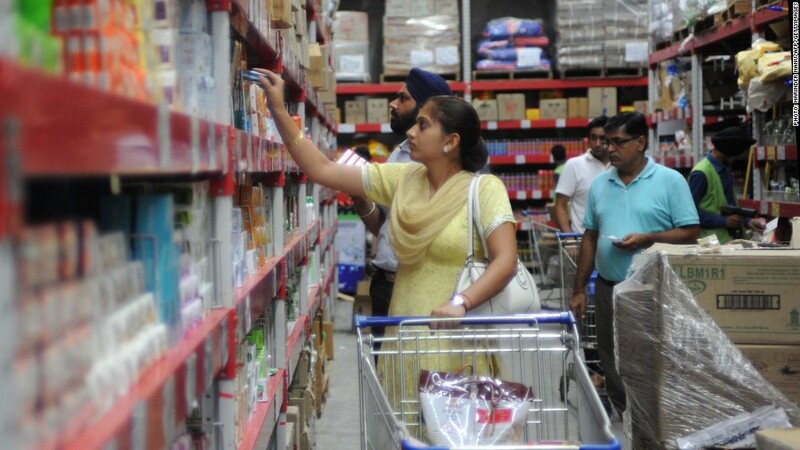 Shoppers visit a Bharti Wal-Mart in India. Wal-Mart has suspended the chief financial officer of its expanding India unit while the company investigates alleged corrupt business practices. The mega-retailer said in early November it was broadening its investigation regarding allegations of potential Foreign Corrupt Practices Act (FCPA) violations in Mexico to include India, China and Brazil. A spokesman for the company in India, which operates as a joint venture with Bharti Enterprises, said the suspension of the CFO was related to the investigation but declined to provide additional details. Wal-Mart representatives in the United States did not return a request for comment. The suspension comes at a crucial time for the world's top retailer. India lifted restrictions on Wal-Mart and other major retailers in September, as it introduced some of the most aggressive economic reforms in decades. For reformers, the changes mean an end of policy stagnation, and a political victory over opposition leaders who fear large retailers will force the closure of small, family-owned shops. The broader Wal-Mart investigation stems from allegations that Eduardo Castro-Wright, the former CEO of Wal-Mart de Mexico and former head of Wal-Mart U.S., orchestrated $24 million worth of bribes in Mexico to secure construction permits. The allegations were reported in a New York Times article. "We will not tolerate noncompliance anywhere or at any level of the company," Wal-Mart said in a statement issued in mid-November. "We are working diligently to strengthen our compliance programs and dedicating considerable resources to this effort."